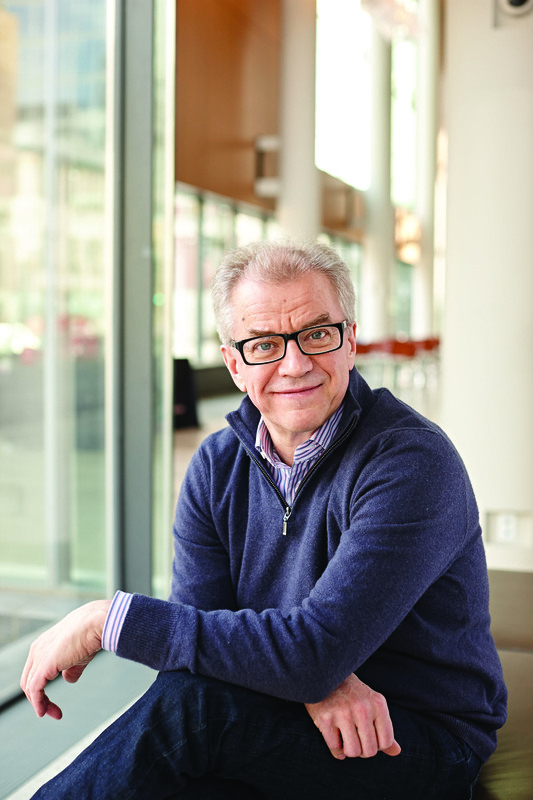 This summer clarinetist Osmo Vänskä makes his SCMS debut with a recital performance on Monday, July 23, plus performances on July 25 and 27. Besides playing the clarinet he serves as the Music Director of the Minnesota Orchestra and as a composer, as we will hear on the July 23 recital. We had the chance to chat with him about his recital program, as well as the rarely performed Clarinet Quintet by Gordon Jacob he is performing on July 25. You have two unique pieces on your recital. One that was written for you, and one that you are composing. Can you talk about these pieces and what was the inspiration for either of them? OV: The duo by Kalevi Aho is a very special work for me and Erin because Kalevi wrote it as gift for our wedding in 2015. He totally surprised us! It’s a very difficult work technically – as is all of his music! – but it’s also a great piece of music and we love to play it. The first movement is quite virtuosic but lyrical featuring the violin (the title is “ER” as in Erin), the second movement is all about the clarinet (OS) and the third is about living life together (ER-OS). My own Duo for the Clarinet and Violin has three movements: 1) Dialogue 2) Sorrow 3) Leikari Dance. I have always liked to arrange music for various combinations of instruments, but I wrote a short piece for orchestra a few years ago and fell in love with composing. I never have enough time to do it, but last summer I had a few free weeks and I was inspired to write a new duo for us since there isn’t much music written for the violin and clarinet. On Wednesday, July 25 you are playing a work by Gordon Jacob. What can you tell us about this piece? OV: Gordon Jacob wrote the Clarinet Quintet in 1940. He is one of many composers who has been inspired by the sound of the clarinet and the string quartet just like Mozart and Brahms were. This is a new piece for me, and I was thrilled when James asked me to play it since I always love learning new repertoire for the clarinet.